When Truman Dam closed, the paddlefish was cut off from its primary spawning grounds, the gravel bars of the upper Osage. This ancient fish has inhabited the Mississippi and Missouri river system for more than a hundred million years. 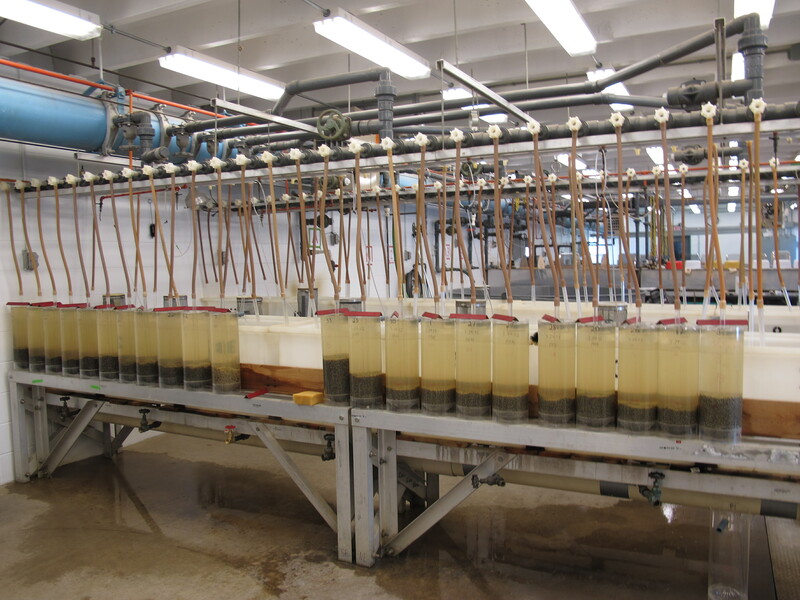 Today the Missouri Department of Conservation’s Blind Pony Hatchery supplies an average of thirty thousand 10″ to 12″ fingerlings for stocking in Lake of the Ozarks, Truman and Table Rock reservoirs and in the Black River. This close cousin of the sturgeon is highly valued, not only for its meat, but also for its roe (eggs) which makes a respectable form of caviar. With the cooperation of the United States Fish and Wildlife Service the Department generously provided eggs, fry and even some adult Osage River paddlefish to the Soviet Union from 1974 to 1977. Between 1984 and 1986, the Russians successfully bred this Osage River stock at the Experimental Fish Breeding Plant near the Black Sea. As well as raising them for food and caviar, the Russians have distributed paddlefish to Romania, Moldavia, Ukraine, Hungary, and the Czech Republic. International interest in the Osage River paddlefish coincides with the 1972 environmental lawsuit to stop the dam and save their spawning grounds. The Chinese began obtaining paddlefish fry from the United States in 1988. Soon they realized that fertilized paddlefish eggs had greater viability and they began buying them from private hatcheries in the U.S. and Russia. Today, paddlefish are successfully spawned in China and raised for food in ponds in more than 10 provinces. In addition to the flesh, the head, gills and intestines are incorporated into dishes in China. You can see more on the Globalization of the American Paddlefish on our YouTube channel.